Cufflinks designed to match Kilt Pin. 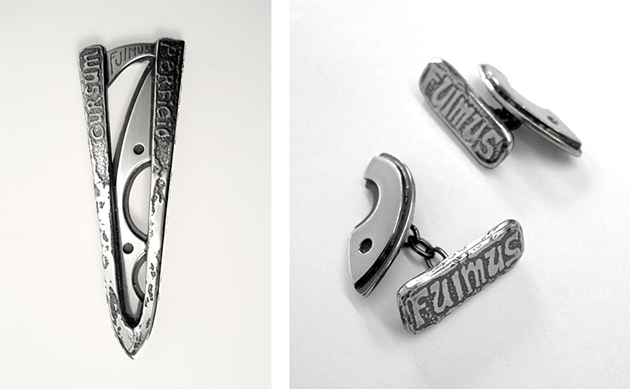 The shapes are based on Kenmore bridge and 'Fuimus' is the Bruce Clan motto, meaning 'we have been'. Website designed and maintained by Islay Jane Spalding © 2007 | Please email me if you wish to use any images on the site, Thank You!